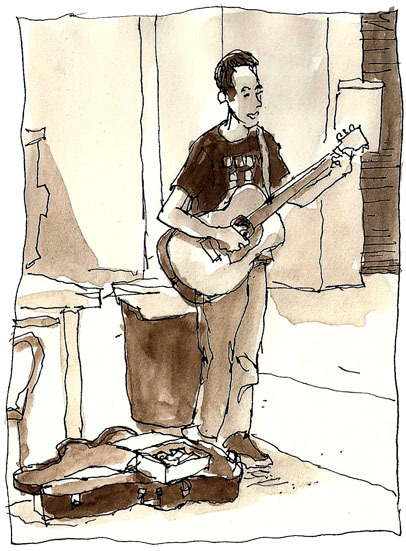 A busker in front of the movie theaters in Burbank, 10:pm on a Friday night. Jack and I sketched him together before going in and seeing “The Dark Knight Rises”. Jack said he was playing sad songs about breaking up with a girl. He played almost entirely with his eyes closed. I gave him two dollars. He had quite a few in his tip box already.